Are you planning to move? You’re not alone. According to Moving.com, 42 million people, or one in four adults, move each year in the United States. 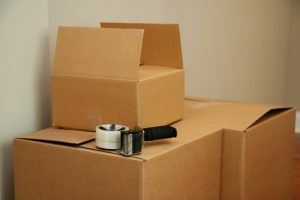 And it doesn’t matter whether you’re moving around the corner or out of state, it can be a very stressful time – before, during and after a move. Let the portable storage experts at A.B. Richards, the leading supplier of ground-level storage containers in the Northeast since 1982, take some of the stress off of you as you prepare to move. Our portable storage units can be quickly delivered anywhere within the areas we serve in the Northeast, including Long Island and towns all across New York, New Jersey, Connecticut and Pennsylvania, such as Atlantic City, Hartford and Philadelphia. We can help set you up with one or several portable storage containers that’ll allow you to easily pre-pack your old home on your timeline. Renting or leasing one or more of our weatherproof, fireproof, sturdy, 20ft mobile on-demand containers for as little $79 per month as you prepare to move is a cost-effective way to sort through your belongings at your own pace. You’ll also be able to get a handle on what you’d like to bring with you to your new home versus what you’d like to discard, donate or sell at a garage sale before you move. When you arrive at your new location, we can also deliver one or more personal on-site storage containers so you can take your time moving into your new home. Using portable storage units will give you an additional opportunity to inspect, clean and make improvements to your new digs. Using them further allows to you really get a feel for the space so you can design each room the way you want it instead of throwing all of your belongings inside at once. Last, but not least, you can once again cull your belongings and furniture to see what fits and what you need or want to store, discard, donate or sell. Furthermore, compared to self-storage units, mobile storage units are far superior because they’re delivered right to your location, eliminating the extra hassle and cost of transporting your belongings to an off-site storage space. Clean the clutter from each room and the attic, garage, shed, basement and crawl spaces so you have less to pack. Research your moving options and quotes, and keep track of all your moving costs in one place, such as binder. Hire a professional moving company. Organize school and medical records, forward what’s needed, notify important parties about your move (i.e., employer, schools, doctors, banks, and credit card, insurance and utility companies), and do a change of address. Reconfirm the moving date with your moving company ahead of time and verify the truck that arrives on the day of the move is from the moving company you hired. Contact A.B. Richards at (800) 597-5971 to have one or more mobile storage units delivered right to you today! Whether you’re moving into your first home, moving your office or helping your college student move into his or her dorm, our on-demand storage experts can tell you more about our storage container renting and leasing options, and can help you choose the exact mobile storage containers that fit your needs as you begin pre-packing and moving.